Turning over a long history of coming in second behind Spanish in terms of number of students enrolled, Japanese recently took the top spot in foreign language studies at the University of Washington (UW). Of the hundreds of students taking Japanese language courses, about 50 students major in Japanese language each year. I’ve been involved with the Japanese language, in one way or another, for more than 30 years. Over that time, it has waxed and waned in popularity. But it’s almost always taken a back seat to Spanish at any educational institution in the United States. World’s biggest T. rex discovered: Heftier than an adult elephant, the 9.8-ton animal shows that predatory dinosaurs got older and bigger than once thought. I went through a dinosaur phase as a kid. I am still fascinated by them. And I know this would have some huge downsides: But if scientists were able to genetically reengineer dinosaurs and put them out in the wild again, that would not be an altogether bad thing. After all, folks in Florida already cope with alligators! 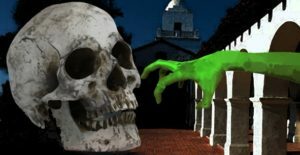 New chapters for ‘The Consultant’ online! 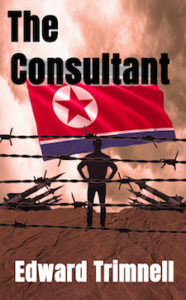 An American marketing consultant is abducted by the brutal North Korean regime. What do they want from him? Will he ever escape? Follow the online serial here. I’ll be adding chapters as they’re completed! Read it for FREE at EdwardTrimnellBooks! Read it here…completely free, no registration, no strings attached…no email sign-up required. Joseph Finder is the master of the suspense novel in which ordinary people are thrust into extraordinary situations. The Switch is a novel about what can happen when you pick up the wrong laptop by mistake in the airport security line. An ordinary situation…but not so ordinary. Per The Motley Fool: Why Did Ford Hire an Amazon Veteran as Its Next CFO? Amazon, of course, is more than just a book retailer. Amazon has upended the entire retail sales model over the past two decades. Someone needs to do the same thing for the US auto industry. Or rather, what has become a big business is providing profs with the tools to catch student plagiarists. Why a Plagiarism-Detection Company Is Now a Billion-Dollar Business. I never would have guessed there was this much money to be made by detecting fraudulent term papers.